If you aspire to a celebrity-style affair, a luxury Los Angeles destination wedding is definitely for you. 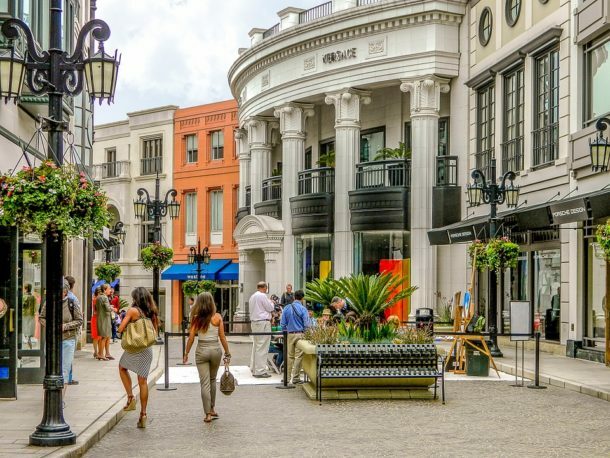 One of the world’s most famous cities offers absolutely anything your heart desires: a familiar downtown skyline, miles and miles of sandy beaches, the glamour of Hollywood, the luxury of Beverly Hills, scenic foothills, rustic desert sandscapes and even forest getaways. If you can dream it, Los Angeles has it in spades and all with a temperate climate – not to mention those iconic, swaying palm trees! The most difficult part of hosting a wedding in Los Angeles is choosing from all of the amazing options. Within its borders, Los Angeles, or LA, as it is commonly known, incorporates the downtown financial district, the famous beach towns of Santa Monica and Malibu, the shopper’s paradise of Rodeo Drive, many of the world’s most famous theme parks, historic orange groves, renowned hilltop art collections, scenic desert byways, and everywhere monuments to the region’s glamorous Hollywood history. Naturally, your options for Los Angeles wedding venues are as numerous as its diverse neighborhoods. Are you movie buffs? Hotels made famous in feature films are literally everywhere in LA, many with historic architecture lovingly preserved and an old-Hollywood ambience inside and out. Looking for a more organic, hipster-yet-elegant feel? Exclusive boutique hotel properties are tucked away where many would never think to look, offering both privacy and intrigue for you and your guests. Nature lovers will also find that choosing an outdoor wedding venue in Los Angeles is made complicated only by the sheer number of perfect sites that are available. Gardens, sandy beaches, cabin retreats in the mountains, festive outdoor squares, the grounds of manicured country clubs and golf resorts, historic sites, private villas, mansions and modern terraces are simply a few of the sites from which you can choose. LA enjoys a cultural diversity like few other places in the world. Celebrate your family background and the local flavor with top-quality, authentic cuisine and entertainment. Within a single Los Angeles wedding weekend you can glide down the aisle to the strains of a symphony-level string ensemble, follow traditional mariachis into your reception, greet your guests amidst the groove of a jazz quartet, or experience a genuine Moroccan meal, seated on the floor and in the company of exquisitely talented belly dancers. Fusion cuisine is highly popular in Los Angeles as well, combining the best of local ingredients like seafood and fresh produce with unique preparation techniques and seasonings from many cultures to create new and delectable dishes. Our wedding planners in Los Angeles can help you plan a variety of events to entertain your guests, incorporating your personal style and story, and addressing any special dietary considerations or unique cultural requests. All of the elements of a fairytale wedding are waiting for you in this very special wedding destination: Los Angeles.